Here & Now | A Denver Style Blog: is it hump day yet? Running from school (up since 5 am) to meetings means a quick ballet flats --> heels change + LOTS. OF. COFFEE. How do you survive from sun up to sun down? Both stylistically & energy-level-wise!? 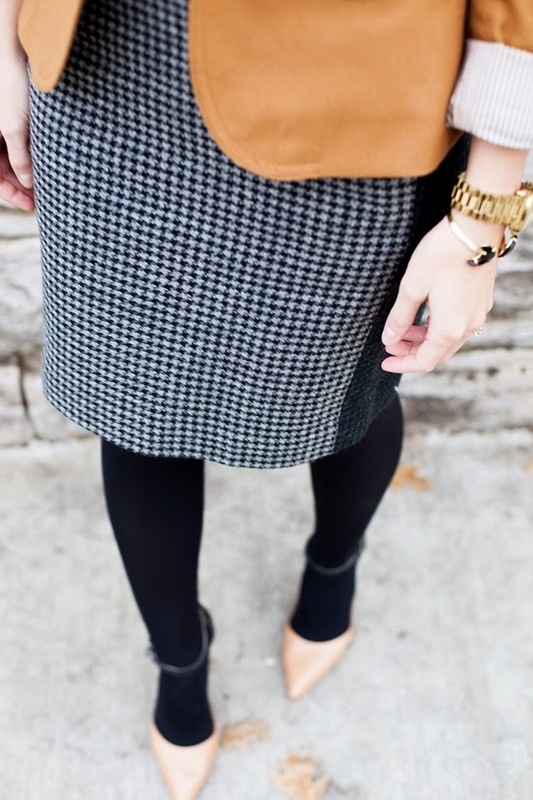 Loving the houndstooth, so cute with that blazer! I would have absolutely never thought of combining a cognac/tan with this but it is just darling! So glad to see warmer weather returning to these part, mostly because I hate cold weather BUT also because it means you're probably gonna be posting more! 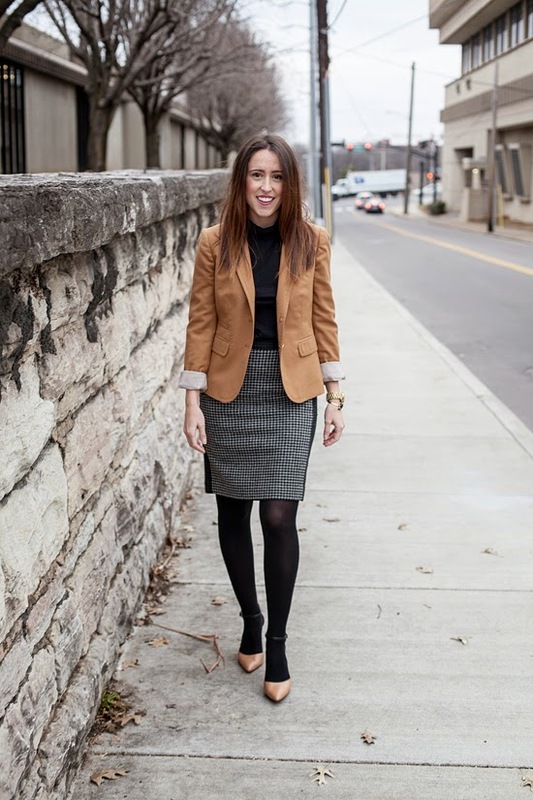 Fantastic shoes and blazer, you look great in this minimalistic outfit. You look incredible. I love your blazer and heels. I survive by getting at least 7hours of sleep and working out! because no matter how much I don't want to workout, I always feel better after! Love this look! this is so cute and perfect for work!